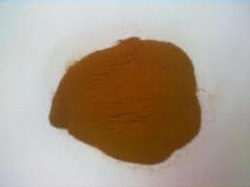 Leading Manufacturer of fulvic acid 60% from Bengaluru. Fulvic Acid 60% offered contains fulvate as well as other elements that provides for quick solubility as well as distinguished action to stimulate roots, support its growth as well as enhance yield as well as quality of the fruits. Having a powerful action, it also regulates stomata open close on leaves as well as provide assistance in plants respiration. Further, it also works well with some mineral ions including magnesium for promoting photosynthesis through chlorophyll process. Looking for Fulvic Acid ?